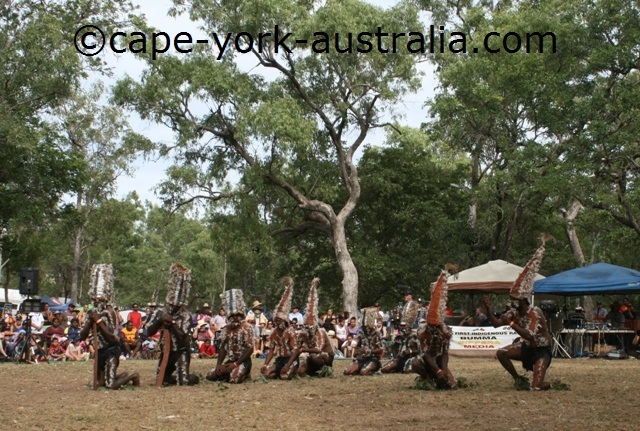 Laura Aboriginal Dance Festival is a fantastic event. 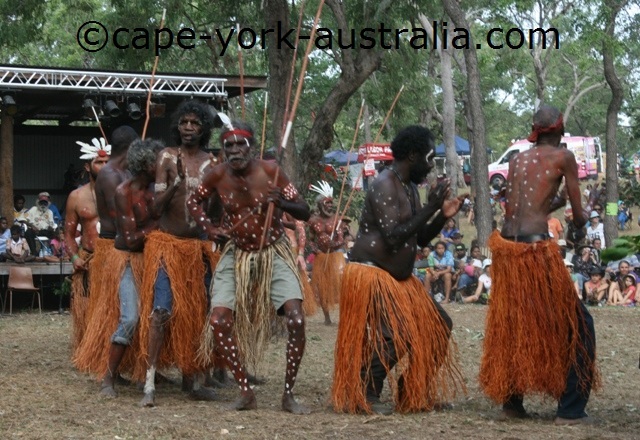 It is not only the best event in Cape York, it is the best Aboriginal event in the whole Australia. 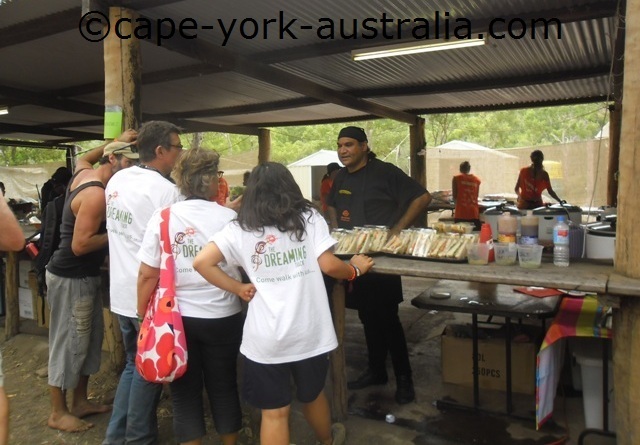 Nowhere else in Australia can you experience so much Aboriginal culture in one weekend, right around you and right in front of where you are sitting. It is a good reminder that Aboriginal culture is too strong to ever completely die, and continues being passed on through generations. 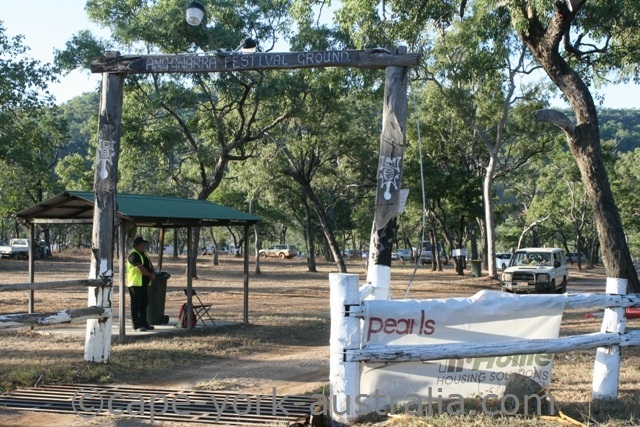 It also shows the enormous effort that has been put in by the Aboriginal people. 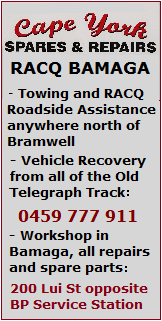 Some of them are extremely skilful, these skills don't come without a lot of practice, and some groups even do it as a full time career. 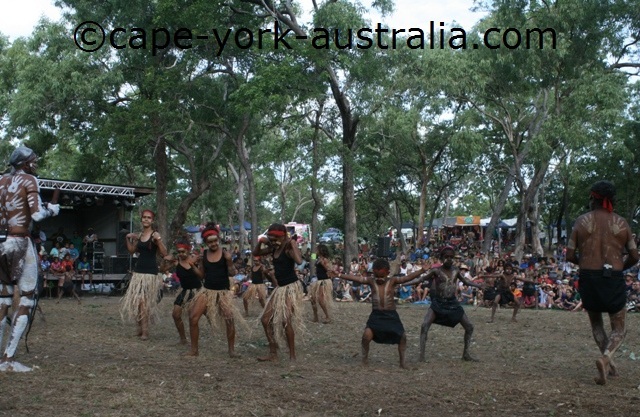 The three day festival is held in late June (The Northern Hemisphere's Midsummer weekend), at Ang-Gnarra Festival Ground, about 15km south of Laura. 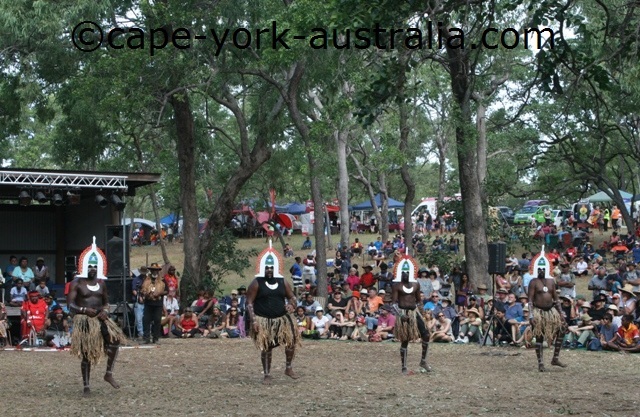 Laura Aboriginal Dance Festival is only on every second year (alternating with the biannual Torres Strait Cultural Festival on Thursday Island, that is equally fantastic). 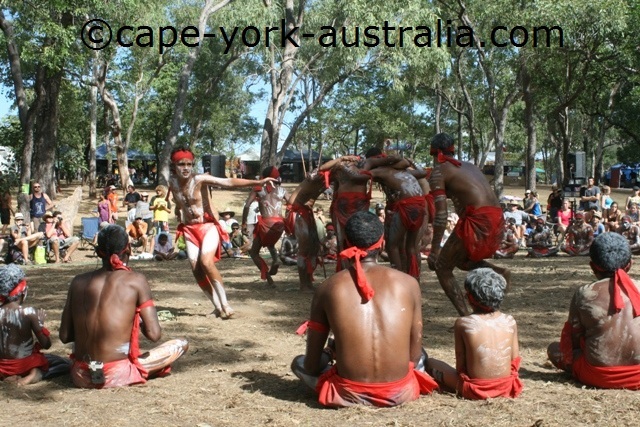 Aurukun dancers. All photos are subject to Copyright - do not copy. 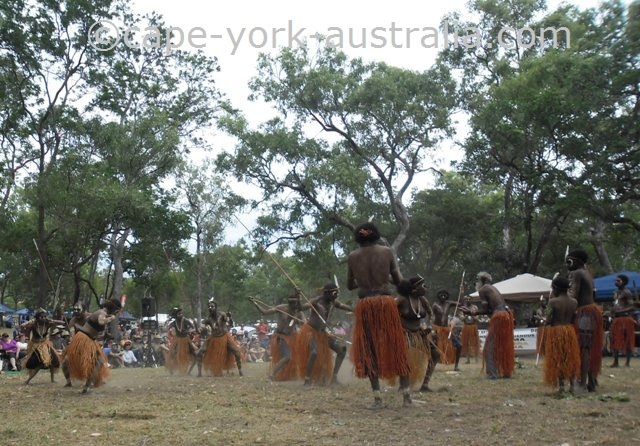 Laura Aboriginal Festival is all about traditional dancing, and it's great to watch. 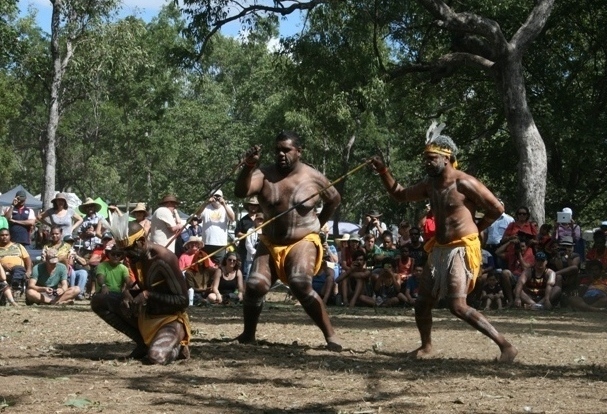 Kuranda dancing. All photos are subject to Copyright - do not copy. 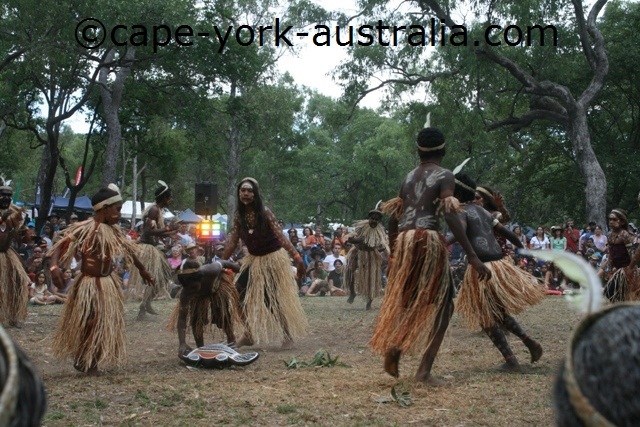 Cape York has a lot of different Aboriginal communities, and each community has a group of traditional dancers and singers. Injinoo dancing. All photos are subject to Copyright - do not copy. Every second year all those groups gather here in Laura, and one after another they perform their songs and dance during the Laura Dance Festival weekend. Mapoon dancing. All photos are subject to Copyright - do not copy. 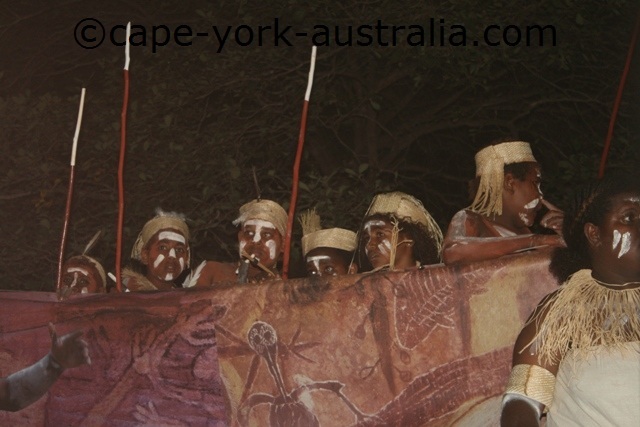 Some even come from outside Cape York (the group on the photo below is from Australia's central deserts). Marrinyama dancers. All photos are subject to Copyright - do not copy. Every performance consists of several dances, danced to live music by the musicians and the singers of the group. Lockhart River musicians. All photos are subject to Copyright - do not copy. 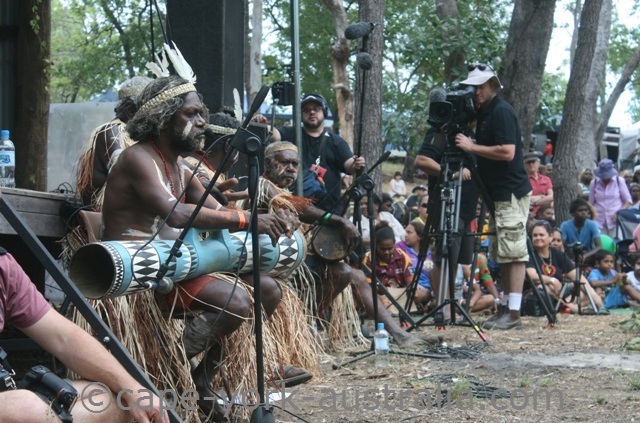 Clapping sticks, boomerangs, drums and didgeridoos are all used to create the music. Hope Vale dancing. All photos are subject to Copyright - do not copy. The groups vary. 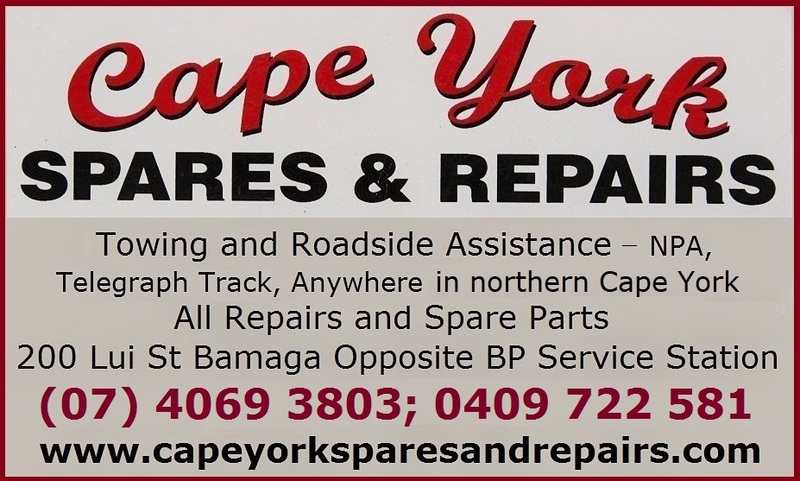 Most are of course Aboriginal, but Cape York also has Torres Strait Islander communities in the far north. 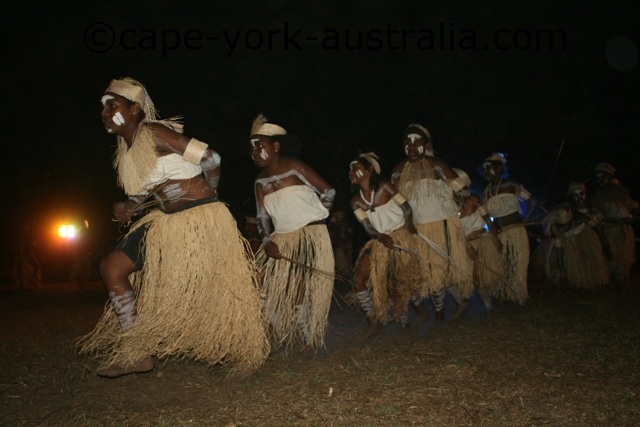 Umagico dancers (Torres Strait Islanders). All photos are subject to Copyright - do not copy. Townsville doing the kangaroo dance. All photos are subject to Copyright - do not copy. ... but other than that the performances can be very different. 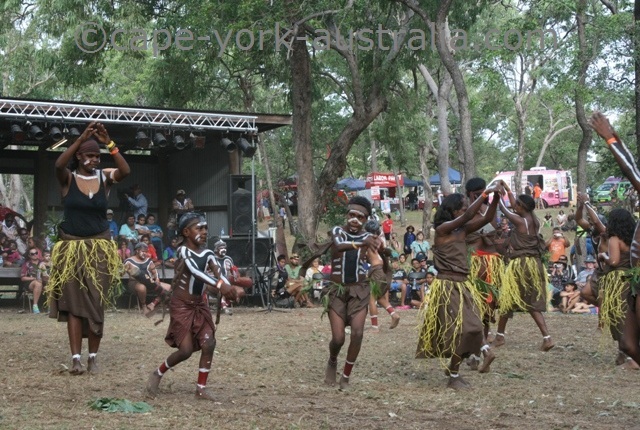 Cooktown kids dancing. All photos are subject to Copyright - do not copy. New Mapoon kids dancing. All photos are subject to Copyright - do not copy. 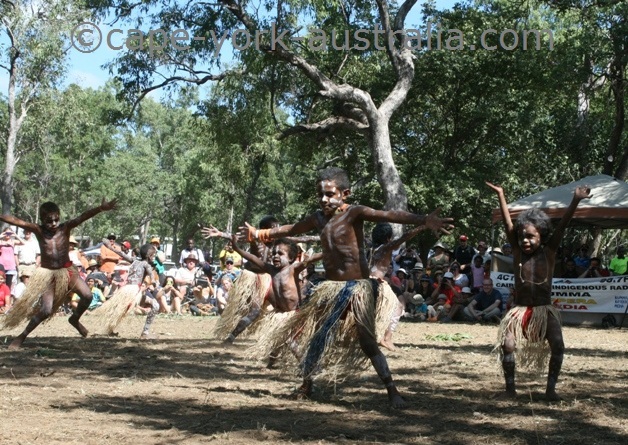 Pormpuraaw dancing. All photos are subject to Copyright - do not copy. ... and even extensive acts. 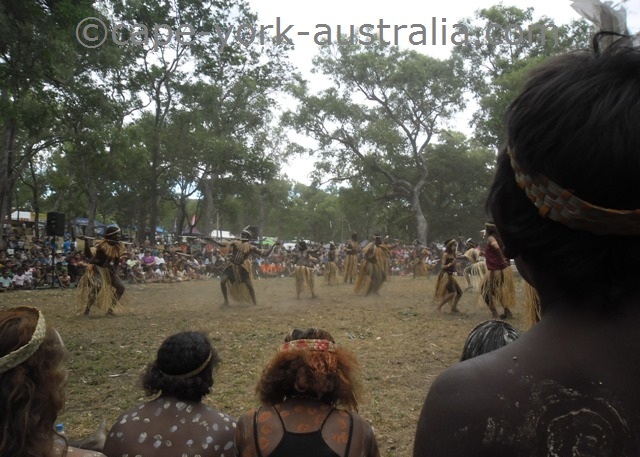 Lockhart River dancing. All photos are subject to Copyright - do not copy. Like on every other festival, of course there are food stalls, souvenir stalls, and all kinds of advertiser stalls where you can pick your freebies. Food stalls. All photos are subject to Copyright - do not copy. 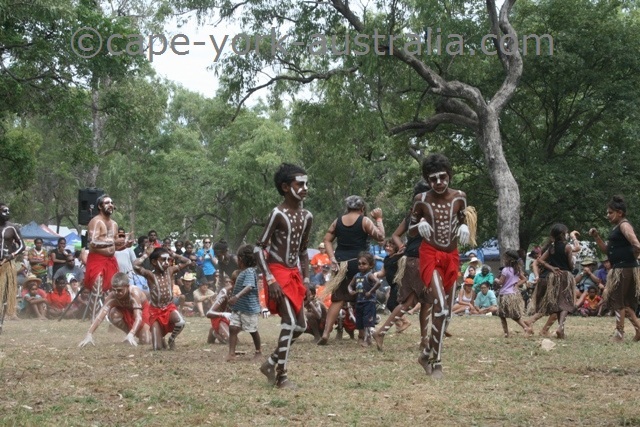 Below are some videos from the 2013 Laura Dance Festival - and scroll down for the best ones! Every group had several dances, on the videos is only one.